(Eagle News) – The leadership of the House of Representatives has decided to retrieve the 2019 budget documents it had submitted to the Senate in an attempt to resolve the long-standing budget impasse. 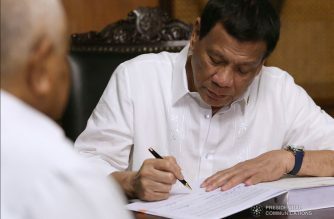 But he clarified that this does not mean that the House was “withdrawing of backtracking” from their previous position that the itemized appropriations they had included in the 2019 budget was still constitutional. “We want to make it clear, though. We are not withdrawing or backtracking from our earlier position. 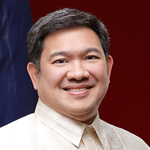 We maintain that the House did nothing unconstitutional, illegal or irregular when we approved and ratified the 2019 General Appropriations Bill (GAB) in plenary session,” Andaya said. “This is in-line with the Speaker’s instruction to allow a last-ditch effort to break the budget impasse,” he said. House Speaker Gloria Macapagal-Arroyo has also ordered the formation of a three-man House team that would meet with their counterparts in the Senate so they can resolve contentious issues on the 2019 General Appropriations Bill within five days, according to Andaya. The House team members are Andaya, Albay 1st District Rep. Edcel Lagman, and San Juan City Rep. Ronaldo Zamora. “We hope that the contingents from the Senate and the House can agree to a common venue for a formal discussion on the issues and not debate on the merits of their position through the media,” Andaya added. 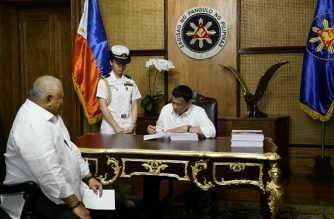 The Lower House transmitted to the Senate their version of the 2019 national budget which included itemized appropriations which the lawmakers said was allowed under the law. Rep. Alfredo Garbin Jr. (Party-list, AKO BICOL) observed that some of the senators were arrogating upon themselves the power which was reserved to the President—the power to veto. Garbin said if the senators claimed that it is unconstitutional to itemize some of the provisions with the programs in the general appropriations of 2019, the President has the reserve power to veto line item as provided in the Constitution which he sees to be unconstitutional. 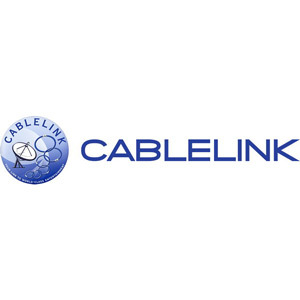 “Bakit nila pini-preempt and power ng Presidente?,” Garbin said. He said the reason the minority stands with the decision of the House leadership to itemize is that it is based on a Supreme Court decision that lump sum is not allowed. 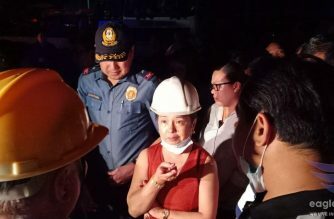 “Kaya ho nag line item, para maging transparent at makita ng mga mamamayan kung saan mapupunta yung pondo na gagastusin sa proyekto,” Garbin said. 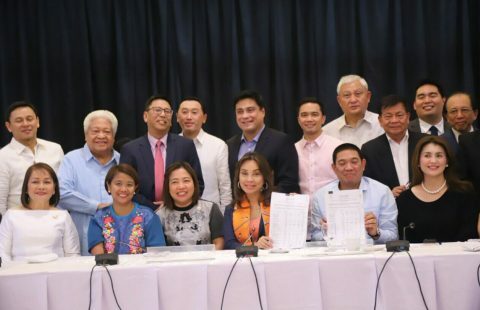 House Minority Leader Danilo Suarez said the reason why the House approved and ratified the bicameral committee conference report on the 2019 national budget is that it expected the Senate to do the same which is to itemize the lump sum. He urged the Senate to sign the 2019 national budget, as he reiterated the call for the immediate passage of the 2019 national budget. “We urge our fellow lawmakers to look at the bigger picture and consider the long-term effects of the re-enacted budget,” Suarez said.